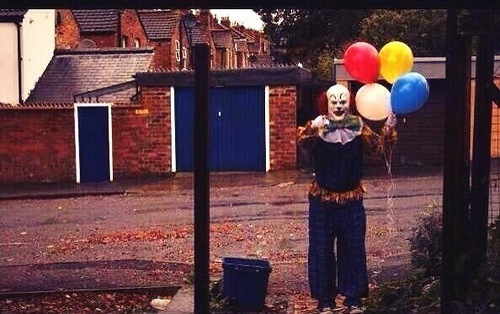 A clown has been spotted in Northampton, he knocked on one door offering to paint window sills, with no painting equipment. Is this a new tact by the Tory party, trying to make people laugh while continuing their policy of not doing anything they say. Or is it Iain Duncan Smith trying to lure children away from people on benefits, and then reduce their benefits due to an unused bedroom. The Tories will stop at nothing!